Weight Watchers Diet Review (UPDATED 2018): Don't Buy Before You Read This! Weight Watchers Diet is a diet plan based off a point system, where each food has a value, and you’re allowed only a certain amount of points a day. You can eat any foods you want, as long as you don’t pass the allowed points for the day. The points offered are called SmartPoints, and the amount allowed is based off one one’s own body and individual weight loss goals. Healthy and low calorie foods have much less value, so it naturally steers people into eating more wholesome foods instead of eating high amounts of junk food. In this review you’ll hear customer reviews, the science behind Weight Watchers, and whether or not it can promote weight loss. The highest rated diet plan of 2019 was found to be the 18 Shake Diet. It’s a combination of a natural metabolism booster and high protein meal replacement. Learn more about the 18Shake diet plan by following the link provided here. No pre-packaged foods are required, it’s advised to cook one’s own meals at home. An app and guide is offered with over 287,000 different foods which have a stated number value. High fiber, non-processed, and sugar free foods have a much lower point number. Processed foods and highly saturated foods tend to be the highest in points. So the diet focuses on introducing more healthy foods, which is already known as a practical way to lose weight. There are also 4,000 recipes offered as well as optional support for meetings, online coaching, and dietary tips. Mobile apps are also offered to help people calculate their total points. There isn’t much information provided by the company to showcase exactly how their approach is scientific, or how they choose specific foods to have higher points than others. The top 10 list found here offers the best diet plans that our experts have reviewed. The quality of the ingredients can vary on what’s purchased, since no foods are off limits, what one purchases will determine the overall quality. The high points that processed foods have will force people to be more conservative in their food options. No proof is provided by the makers of Weight Watchers to show why this diet has been formulated in the point system it offers. This was in a 12 month period, and there were only slight increases in weight loss in comparison to people who were allowed to diet without control. 2.6% for someone weighing 200 pounds would be 5.2 additional pounds. This means that every month, a person can expect an additional 0.43 extra pounds of weight loss more than those who dieted on their own and made their own decisions without a points system. This is a very poor amount of weight loss considering the amount it costs to pay for the online support. A list of the very best diet plans has bene reviewed by our experts. Another major issue with the plan was that no official information is provided to show the points system before one buys into the plan. This makes it impossible to calculate if one is even capable of keeping up with this plan. Certain foods are not preferential for people, and it might require extreme changes in dieting in some. Even with online support, there’s no guarantee that the advice offered will help one lose weight safely and effectively. OnlinePlus: $4.30 per week when a 3 month long plan is offered. This amounts to $64.50 for the total 3 months. Meetings + OnlinePlus: A 3 month plan is offered for $8.30 a week. This amounts to $124.50 for the full 3 months. Coaching + OnlinePlus: Like the other plans, if 3 months is selected, the full price is $10.15. A full 3 months is $152.25. These prices can vary, as it depends on what one chooses as their meals and how much support they want. No information is provided on what kind of background the people who give advice are, and whether or not they are certified diet or nutrition experts. Since they fail to mention this, it’s important to be cautious of the support offered. Many customers also agree it’s incredibly pricy to keep the online support available. As you’ll see in the “Customer Opinions of Weight Watchers Diet”, many felt it wasn’t worth the price. The top 10 list featured in the link here has the best diet plans. Hundreds of people claim that they continue to be charged by the company even after they’ve cancelled the online support, and no longer logging into to their profiles. There are also 279 complaints on their Better Business Bureau site, mostly for the same reasons. People complained often about being constantly billed even after months or even years of no longer using their accounts. Customers were frustrated since they were told their account was cancelled, only to see billing from Weight Watchers appearing on their credit card statements. People also said that when their accounts were active, that there wasn’t much support offered. To see a list of the top 10 diet plans click on the link offered here. People said that the offered meetings and support weren’t really helpful, and that it didn’t cater to people’s needs. It was more just general advice people were given such as obvious weight loss advice. Another major issue was that people often said that they couldn’t keep up with the diet, and that many common foods had too many high points where they couldn’t eat comfortably. Users had issues as well with the foods with fewer points, as its common sense what foods are allowed and which aren’t. The top 10 list features the best diet plans out now, click on this link to learn more. Conclusion - Does Weight Watchers Diet Work? When making a decision on a diet plan like Weight Watchers, it’s important to examine customer reviews, what’s offered, and whether or not weight loss is likely. The plan offers a point system which is meant to make dieting easier. However, hundreds of people have complained about a lack of food options, as well as being forced to limit many common foods. There were also hundreds that complained the company continues to charge them long after they’ve cancelled. Both on Consumer Reports and the Better Business Bureau people mention they continue to be billed. The 2019 diet plan of the year was found to be the 18Shake Diet. It offers a high protein, appetite suppression meal replacement alongside a metabolism booster made with natural extracts with no added stimulants. There are no artificial additives, colors, binders, fillers, or harsh ingredients. Many customers have left testimonials and review showcasing their own weight loss results. People have said that the meal replacement can help suppress appetite for hours, and that it mixes well and has a pleasant taste. 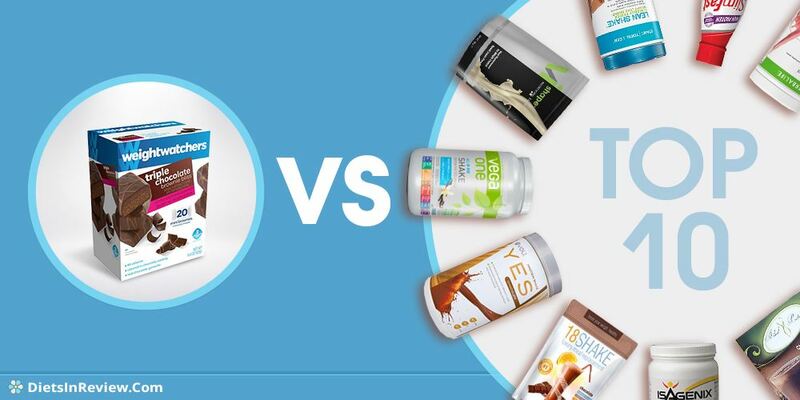 The 18Shake Diet offers a diet pill and meal replacement that are both backed by full 30 day money back guarantee. Returns are offered with no questions asked, risk free. To discover more information about the 18Shake Diet, click on the link provided here. How Does Weight Watchers Compare? I did not like this program and the changes Weight Watchers has made to their program. In addition, I feel tricked into purchasing a 6 month program I was not even familiar with. I thought it would be similar to the old program which allowed a certain number of points at a particular weight. I did try to cancel and do not recall a future cost for an immediate cancellation versus the cost for a cancellation at end of 6 months. I do feel robbed. I am discussed with the whole experience. I will never join WW again and will never recommend it again. Thanks but No Thanks! Will never do ww again. They make their point system overly complex so that you have to constantly rely on them. And thanks to them telling me i was allowed to bring my little bot to their meetings i now have a 7 yr old with an eating disorder! Ww makea you unable to leave the point counting behind... Try just cutting out processed foods, its easier and much more efficient! 2 years ww- 14 lbs... 6 months un processed foods 40 lbs down, and ive maintained it for 4 more months! The meetings are boring and preachy. The cost is high and the customer service is severely lacking. I was traveling and was told I could attend meetings at my destination. Not true. I was charged two months while not being able to attend meetings. Everyone pointed at each other but no one would refund my money. Bottom line... 2 servings of dairy and 5 servings of fruit & veg per day. Low fat, high fiber and watch your calories. There, I have just given you the WW diet. TISWAS Police 5 Shaw Taylor Credit Reference weightwatchers and gym is good enough for doctors it is good enough for me. I Morine Barnes is 13st 8lbs depression. I got 3st 8lbs fat to lose to maintain10st Dr RB Chitre cares i care. I diet weightwatchers and gym 12 weeks from GP. What better than weightwaychers and gym. Morine Barnes 59. Donald 60, Myola 38 &amp; Rommel Edwards 36. Graham 90. Weight watchers was rubbish I stuck to the plan and I lost 1lb in my first week and my second week I lost nothing when contacting the company they were thoroughly unhelpful to me. I then cancelled my subscription 15 days not 14 days after taking the plan out so they proceeeded to charge me for a further two months as I was apparently “committed” to that. I then made a formal complaint to express my discus and got told “there’s nothing they can do” do not do weight watchers I’ve since lost 9lbs on a different slimming plan. I signed up for weight watchers on the lose 10 pounds on us. I paid for three months in advance. I applied for my credit as soon as I was allowed by weight watchers even though I had lost 10 pounds prior to that date. That was my first clue that the promotion was a scam! I never got my credit and they started billing me for additional months. The diet works but BUYER BEWARE...they do not stand by there promises. I found the Weight Watchers site to be difficult to use, not much info about Canadian food and restaurants. I tried it for 3 days and called and asked for my account to be cancelled. They refused. Customer service was kind of rude. So I guess my only option is to let everyone I know to be very careful of these rip off artists. or better yet got to My fitness Pal, much friendlier site and its FREE. It does the same thing as this new Weigt Water Program but has been around much longer. I believe that Wright Watchers just copied My Fitness Pals program, added a few twists and are charging money for it. SAVE YOUR MONEY AND AVOID THESE GUYS. WW really isn’t a diet. You eat veggies and fruits lean protein as your focus. I eat yogurt too and milk low-fat and whole and almond milk. Did I give up bread and pasta? No! Did I give up pizza and ice cream? No! But I only eat sparingly/ as a treat. You have to live too. The worst program they have ever had!!! So many have either gained weight or stayed the same. The people advertised probably lost their weight on the last program they had. Apparently it isn't about weight loss anymore its a wellness program. Some skinny university woman is in charge and ruined it. Save your money. I have tried Weight Watchers as a weight loss plan not once, but twice. The first time I lost weight VERY slowly but did manage to lose 23 pounds after months and months of trying. This was in 2007 when I was on their point system Counting everything in points became so tiring to me.. There were numerous weeks that I lost either 0 pounds or 1 pound. I was so restricted in my meals I left crying after little to no weight loss. I started counting my calories based on the food I was eating and their recommended point system and had around 1100 calories per day - ridiculous! At that time they were really pushing their low point, processed snacks. I ate them to my detriment. I think it played a part in the slow weight loss. I left the program with a truly down and out feeling and a lot less money. I went back again but the old feelings surfaced and quit. I decided to go on my own and eat healthy vegetables, grilled fish and chicken, fruit, nuts, no processed food or sugar and made sure to incorporate organic foods into my daily diet. I did indulge in ALL foods on holidays, birthdays, parties, etc. At this time I realized how unhealthy I had eaten on the WW program. They were not stressing whole, organic food. They stressed their pre-packaged foods. I lost weight naturally by leaps and bounds. I lost in a month and a half what took me months to lose on WW. No points, no money out of my pocket, etc... Try it! In essence, WW is a good system but I wouldn't recommend it. I lost weight very slowly, however you need a change of diet and mindset (and WW won't help you with the latter, really). Their customer service isn't great - even to cancel just now I was on hold for 10 mins with no apology, bit ridiculous. WW works and well worth the $44.95 payment. Why? Every week your invited to attend meetings and weigh yourself. This is life and death training because big fat obese people are dead sooner than later. Check the local assistant living center and big fat obese people are missing. You learn to make healthy choices but can still splurge time to time on your favorite drink/foods. My wife and I are not obese but we're overweight, recently retired, and want good health. WW app keeps track of what you eat and with their built-in "bar code reader" it's the best in the business. Three months on WW my wife and I lost 30lbs together, go look at a bag of dog food (get the picture?). BS on the billing issues they're not out to rip you off. Well worth the time and money. Follow to the T, not losing any weight. Very bad contract. You buy a 3 month membership and they continue taking money from your account after this time even if you do not attend meetings or access resources. Very rude and money grabbing. Watch out! Weight watchers will keep charging your account, month after month. Unethical Company. Gave as a gift to my daughter who never ended up signing in online or making one office visit. When I asked for a refund, they said they could only refund the last month ... even though they know their services were never used. It's been 50 years since Weight Watchers came on the scene and started helping people live healthier lives. Weight Watchers helps members create a foundation to introduce healthier choices and physical activity into their lives. Weight Watchers was made popular by the weekly meetings that are still a cornerstone of the program today. Weight Watchers allows you to eat the foods you like without restriction. Simply stay within your daily range and you can still enjoy the foods you love balanced with nutritious choices like fruits, vegetables, lean proteins and whole grains. Unlike many diets, Weight Watchers also encourages an active lifestyle. It all started in a living room, where women would gather to support one another while losing weight. Then it grew, and became one of the most recognized names in weight loss. They've remained an innovative brand, taking the plan online, and creating a program specifically for men. Weight Watchers Meetings The original Weight Watchers plan invites members to weekly meetings where they help dieters form a network of support with people sharing similar experiences. Each person checks their weight privately. Meetings are conducted by a trained Meeting Leader who motivates and offers the group support through information about nutrition and fitness. Weight Watchers at Work The Weight Watchers At Work program wants to make your workplace healthier by offering you and your company all of the success of the Weight Watchers program right from your own office. DietsInReview.com is an advertising partner of Weight Watchers. This review is strictly our own opinion. A sampling of feedback and experiences shared by our community. Weight Watchers emphasizes eating more wholesome food, while allowing you to splurge on cravings in moderation. You'll make balanced food choices that include whole grains, lean proteins, fruits and vegetables, eggs and dairy. No matter which plan you choose, you'll have access to all of the Weight Watchers recipes that are delicious, satisfying and good-for-you. Weight Watchers members can enjoy chili, muffins, brownies, burgers, pizza, pasta and so much more - especially when you follow their healthy tips for lightening the recipes. You're encouraged to make more nutrient-dense food choices, which not only helps you lose weight but also helps keep you feeling satisfied. The Weight Watchers website features thousands of recipes for all occasions. Weight Watchers Meetings Members can also use the A-Z food list found in the Pocket Guide, or purchase the Complete Food Companion and the Dining Out Companion to help them plan for their night out. Whether you do the program online or attend meetings, there are several ideas for snacks and meals along with a list of power foods like fruits, vegetables, whole grains, and lean protein. The program is designed to teach you how to make smarter food choices so that you eat more filling and nutritious meals. Just glancing at these two meals it would be hard to think they have the same value because meal two offers more food. Illustrations like this make it easy to see the importance of making healthier choices so that you can eat more while getting good nutrition throughout the day. Weight Watchers does promote living an active lifestyle, although exercise is not a requirement of the program. Light intensity – Fairly easy exercise that does not induce sweating unless it’s a hot, humid day. There is no noticeable change in breathing patterns. Moderate intensity – Somewhat hard exercise that will break a sweat after performing the activity for about 10 minutes. Breathing becomes deeper and more frequent. You can carry on a conversation but not sing. High intensity – Hard exercise that will cause you to break a sweat after three to five minutes. Breathing is deep and rapid. You can only talk in short phrases. Common questions asked about the Weight Watchers program by our community. Click each to see the full answer. 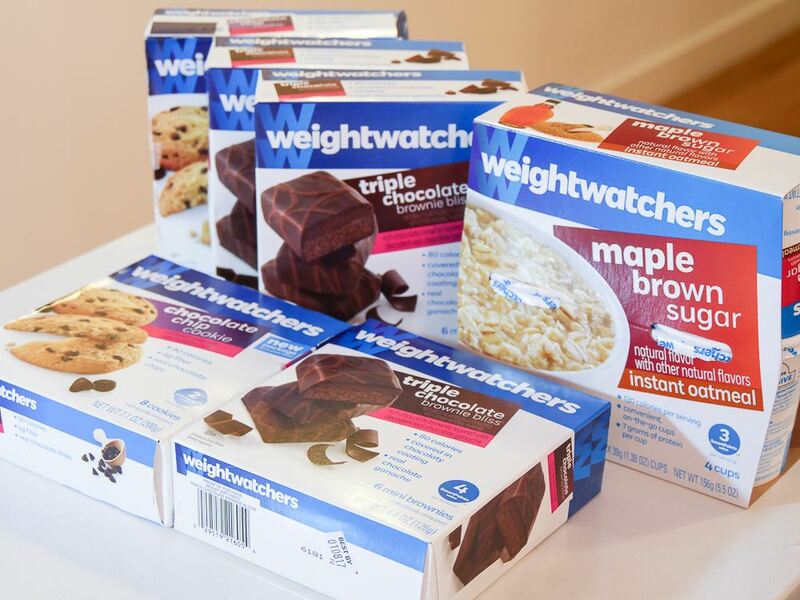 Weight Watchers is a tried and true veteran of the weight loss industry. With a variety of methods to choose from for both men and women, you're almost certain to find the right path for your weight loss journey. Weight Watchers provides guidance from every aspect of weight loss. Food is one of the primary concerns of any dieter and Weight Watchers goes above and beyond most other weight loss programs with thousands of recipes that anyone, dieting or not, will find tempting and delicious. If their style appeals to you, go for it.